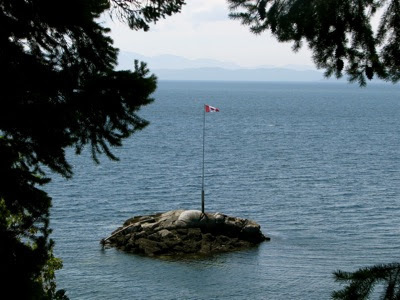 Canadian flag at BC's Rockwater Secret Cove Resort. Photo by Sue Frause. Rates are $179 for a Classic Guestroom or $189 for a Deluxe Guestroom (plus tax). Proof of Canadian residence will be required upon check-in (don't forget your passport). The package is available January 1-April 30, 2012.